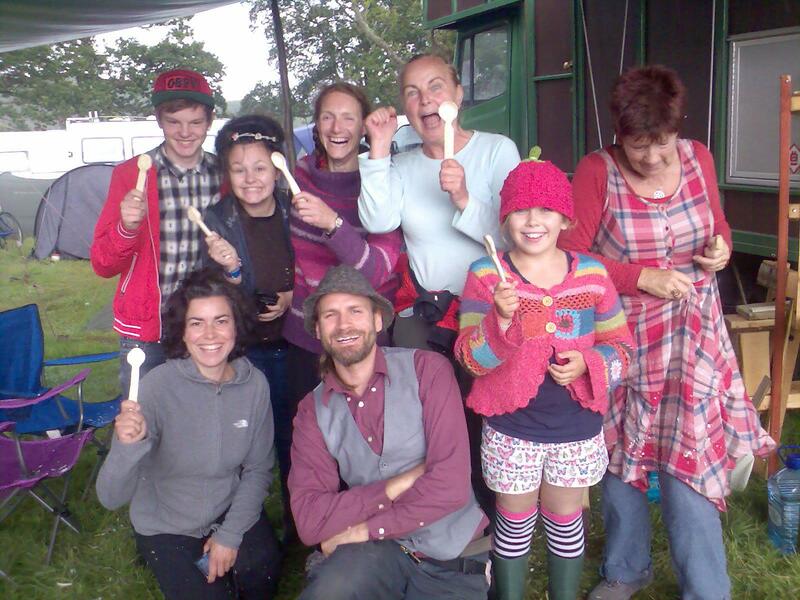 An update on the developing workshop programme for the Buddhafield Green Earth Awakening Camp 24—27 May 2013. Tickets still available on the event webpage. “At the Windy Smithy we create a selection of individually hand crafted products in Devon, ranging from our own woodburning stoves, some handmade edge tools and decorative Ironwork to our unique Towavardo Travellers’ Wagons. “I make log building tools, oak framing tools, bodgers tools, knives and bespoke tools including axes, drawknives, chisels, draw pins and a multitude of other tools and devices for the discerning house carpenter and logbuilder. “I provide all that I can for a wide range of craftsmen, who have been having difficulty in finding the hand tool for the job, and I am happy to research a particular tool and to produce it, using either the traditional techniques, or modern methods, saving time and effort. I have travelled extensively in Scandinavia, learning relevant skills with a wide variety of toolsmiths, with many thanks to the Winston Churchill Memorial Trust for inspiration and support. More on the Windy Smithy website. 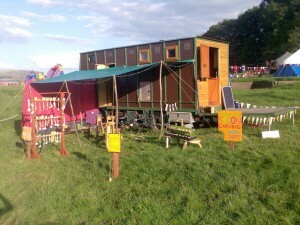 Wayne’s workshops are popular at festivals across the country and include shave-horsing and pole lathing. Talk on Living in Community and the History of Tinker’s Bubble, a low-impact community in Somerset with a strict principal to not use fossil fuels. “Tinkers Bubble is a small woodland community which uses environmentally sound methods of working the land without fossil fuels. 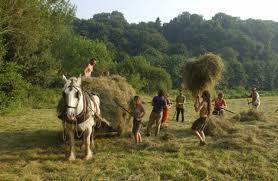 “We have planning permission for self-built houses on the condition that we make a living from the land. We make our monetary incomes mainly through forestry, apple work and gardening. As a result we’re money poor but otherwise rich! “We manage about 28 acres of douglas fir, larch, and mixed broadleaf woodland using horses, two person saws, and a wood-fired steam-powered sawmill. “Our pastures, orchards, and gardens are organically certified, and no-dig methods are commonly used. We press apple juice for sale, grow most of our own vegetables, keep chickens and bees, and sell our produce at farmers markets. We make loads of jam, chutney, pickles, cider, and wine. 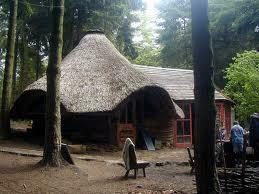 The Eco-Dharma Centre is situated in a beautiful and wild part of the Catalan Pyrenees. Offering courses, events and retreats which support the realisation of our human potential and the development of an ecological consciousness honouring our mutual belonging within the web of life – drawing on the Buddhist Dharma and the emerging ecological paradigms of our time. We offer courses and retreats that take place in a context of sustainable low-impact living, closely woven within the web of elemental nature. These meditation retreats, study seminars and training camps are intended to help people to empower themselves to make changes in themselves and the world consistent with a life-affirming vision. Tim has worked at the Earth Centre teaching Permaculture and sustainability and has a BSc in Countryside Management and Interpretive Design with an Emphasis on Sustainability. Permaculture is a branch of ecological design, ecological engineering, and environmental design which develops sustainable architecture and self-maintained horticultural systems modelled from natural ecosystems. Taken from the Wikipedia article. This entry was posted in Green Earth Awakening, News Headlines by Rosie. Bookmark the permalink.